Business owners juggle many hats these days, and it can be difficult to keep up sometimes. keep a handle on things. The personal and arguably informal nature of instant messaging gives you the space to build trust with your customer. You can follow up with your customer, or answer any queries; you’re offering the assurance that you’ll be on hand to troubleshoot any problems he might have. In short, the app should prove useful if you interact with customers (new and regular) on a regular basis – it should help to make communication easier and fuss-free. Imagine a conversation with a new customer that converts into a lead. The app was launched for personal users in July 2017, and it is slated to be rolled out to businesses around August this year. PayNow offers the immediacy of cash with the convenience of cashless transactions. So, if you’re a merchant who deals mostly in cash, the introduction of PayNow will help to simplify the payment process for you and your customer, by reducing the time it takes to handle payments. It’s also possible to adopt PayNow for personal users if you want to go cashless already. This might be viable if you’re a sole proprietor (i.e. you run your business and handle payments by yourself). In our article 4 More Ways to Improve Your Chances of Getting A Business Loan in Singapore, we mentioned that company directors should maintain a good personal credit record to make getting business loans easier. Credit reports are not sent out automatically however and keeping track of changes manually can be troublesome. 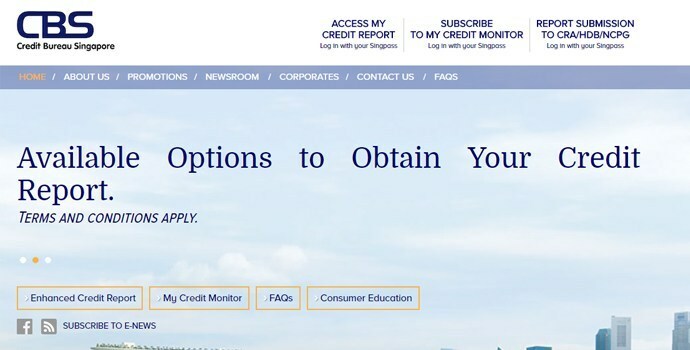 However, the Credit Bureau of Singapore (CBS) does offer My Credit Monitor, a value-added service that sends subscribers quarterly copies of their credit records. SMS and email alerts are also sent when there are changes to your credit record or requests to view them. My Credit Monitor’s alert service should also prove useful in guarding against identity theft and fraud. Early notifications of changes (examples below) made to your credit record keep you aware, so you can be on the lookout for unexpected changes triggered by phishing or hacking attacks and report any suspicious activity as soon as possible. The earlier you know and the earlier you act, the easier it is to fix the damage done. How alerts sent by the service under various scenarios would look like. Taken from: Credit Bureau of Singapore. It’s important to know where you stand in the eyes of the banks if you want to improve your chances of getting a loan. If you usually have trouble getting one, you may wish to consider subscribing to this service, so you can get an idea why banks may be hesitant, and how you can adapt your personal credit behaviour. Tech tools like these make our lives a lot easier, and we hope the ones we’ve reviewed above help you in some way.